Has anyone repeated Living Large? Unrepeated. No other boulder has been tried by as many top climbers without seeing a repeat. are you pointing the mouse in your hand? referring to “Hypno”? Did you step in dog poo and track it in the house and you found a spot of caked leaves and poo? A half eaten Burrito? A stain from the aforementioned Burrito on your new favorite non-plaid shirt? Sorry, I just think the whole “this” thing may be the stupidest thing ever popularized by stupid people on Bravo and E! Long hike. Needs lots of pads. Not most top climbers preferred style. Rarely tried and even less frequently projected. 1. After days and days on TR/working it with tons of pads. 2. That’s not a lot and projecting is different than trying for a day or a few attempts. 3. Exactly. Because out of those 50, you name one that has actually projected it and he projected it briefly, almost did it, got hurt because see #1. 69. Hypno is still the correct answer to this most important of questions. Really need to find a friend with Core and edjumicate myself. Doesn´t matter. If the problem it´s good, motivated people will go try it at some point. In the other hand , how many people can try that problem? I consider myself a climbing nerd but you guys really impress me with what seems like first hand knowledge of what pro climbers are doing. And why do you care who has tried it and how far they got? You are clearly not a true climbing nerd. 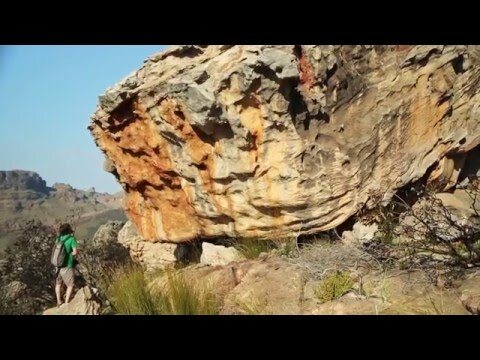 How many hard boulders around the globe has Jimmy crushed and downgraded. How many area “maybe one day in the future” mega-projects has he dispatched. For him to come out and say “this is the hardest rock climb I’ve ever tried” really illuminates how hard Livin large must be. Didn’t DG and Nalle just declare war on hypnotized minds? I think that’s their M.O. Finally try and come to some consensus on V16.